Losing weight can be a battle, and most people who attempt to lose weight often do so through multiple failed attempts. When I began my journey to finally lose the weight, it wasn’t my first attempt. I had attempted to lose weight several times throughout my life and each time I would either fail or lose weight just to put it all back on again. I didn’t think I was ever going to get the weight to come off, or be able to keep any weight that I did lose off for good. Fortunately, I didn’t give up. I kept trying, and once I said enough was enough, I was able to learn from my past mistakes (as well as the future ones I would make), and I was not going to give up. No matter how many times I fell off my goals, I was going to keep picking myself up and try to do better the next day. Since I started losing the weight, I have had the mindset of making sure I do better than the day I did before. I also learned not to let my setbacks and failures keep me down, but instead learn from them so I would be less likely to repeat them in the future. We all have been on fad diets or crash diets, and they never seem to be the solutions. Yes, we may lose a little bit of weight, but most of these diets are not sustainable and don’t teach lasting, healthy habits. Some of these diets include cutting your calories so low that you don’t lose weight because your body tries to hold onto fat for survival. This can lead to not losing weight at all, or losing a little bit of weight before hitting an early plateau. A second mistake that people make is cutting out too much at once. Many people stop eating everything that is bad for them all at once, and this can make losing weight feel overwhelming. When you cut out everything at once, you may feel more cravings and like you are missing out. This can lead to more failure and less weight loss. When I started my journey, I had a hard time cutting out sodas. I knew that I shouldn’t be drinking them, but I eased them out of my life. I cut my soda consumption down while I worked on other areas of my new lifestyle. Eventually, I switched to diet soda and then to soda water. Now, I don’t drink soda and mainly drink water. I did this very say thing with milk and dairy products. I used to drink a lot of milk, but it was stalling my weight loss. I switched from whole milk to 1%, and then eventually to almond milk. Now, I don’t consume milk at all and limit my overall dairy intake. Instead of getting rid of everything all at once, slowly ease the more difficult products out of your life and just focus on doing better every day. Again, the key is to do better than the day you did before. Processed food is everywhere, and it is easy to make. Whether you are buying it at the store of driving through the drive-thru, processed food is extremely easy to get. There are even “diet” products that line the shelves of the grocery store. There are two problems when it comes to processed foods. I know it was a new concept for me to switch from processed foods to whole foods when I began to lose the weight, and for many people, I talk to this is something that they struggle with. Most people don’t realize that processed foods are often just empty calories, with little to no nutritional substance. Even the “diet” products are full of processed ingredients to cut out sugars and fats. So many products are advertised as being “fat-free” when fat alone isn’t what led to weight gain. Instead, it is the processed ingredients that we consume. If you want to lose weight, avoid processed foods, including the “diet” alternatives that are out there. 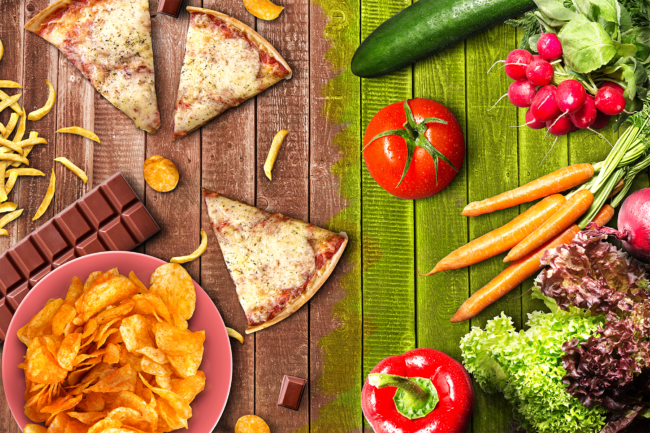 Often when people try to lose weight, they don’t keep track of what they are eating, but instead just make a switch to the foods they think are healthy. They don’t realize that may not be eating enough, or they may be eating too much. In most cases, I find that people are not eating enough because they don’t have a clear understanding of how much they should be eating and how much they are actually eating. Those who consume too many calories, often do so because they don’t keep track of the oils they use, or the condiments that they top their foods with. These things can easily add on hundreds of forgotten calories. If you want to be successful at losing weight you are going to have to plan for it. The best way to plan ahead for your meals is to meal prep, so you know exactly what you are consuming for every meal, and you are prepared. When you are prepared, you are less likely to make a last-minute stop at the drive-thru. Meal prepping can also save you time. By only having to cook once or twice a week, you can set aside the time you would use throughout the week either cooking or going to get your meal for more important things, such as going to the gym. For a lot of people, exercising is one of the difficult parts, and for some, they believe that if they just exercise more, they won’t have to change their diet. This is not true. Your nutrition makes up 80-90% of your results and you can’t out train a bad diet. If your nutrition is not dialed in, it won’t matter how much you exercise. It is better to dial in your nutrition and not exercise than to continue a bad diet and spend all of your time in the gym. Getting the right support can be the difference between success and failure. Having people to support you can keep you accountable and keep you motivated. Working towards your goals on your own can be a lonely journey. I know this because there were times when I first started my journey where I felt alone and like I had no one to turn to. It made it rough at times, and I almost wanted to give up. Fortunately, I met people along the way that supported my journey and kept me going. Whether you have support from your friends or family, or from an online community like Team Possible, be sure you have someone you can go to for advice and support when things get tough. We often forget how essential support is, but it is the key to success. There is nothing wrong with a cheat meal if you do it right. The problem arises when you have cheat days and cheat weekends. Your calories don’t care when you consume them, and you can end up sabotaging an entire week’s worth of work in just a single day. If you cut 2,000 calories from your diet from Monday-Friday, but you cheat on the weekend and add 2,000 calories to your meals you have made no progress. The only difference is when you consumed those calories. If you are going to cheat, keep it limited to one meal a week and do your best to keep that meal as close to whole foods as possible and as healthy as you can. This way you don’t sabotage any of your hard work. Sometimes we don’t realize how many calories are in the things we drink. It just isn’t something we typically think about, especially when we think what we are drinking is healthy. When I began my journey, I would drink juice, because I thought it was a healthy drink. I didn’t realize how much sugar and calories were contained in something that was supposed to be good for you. Not only do we not realize how many calories are in the drinks we consume, we often don’t realize how much we consume. 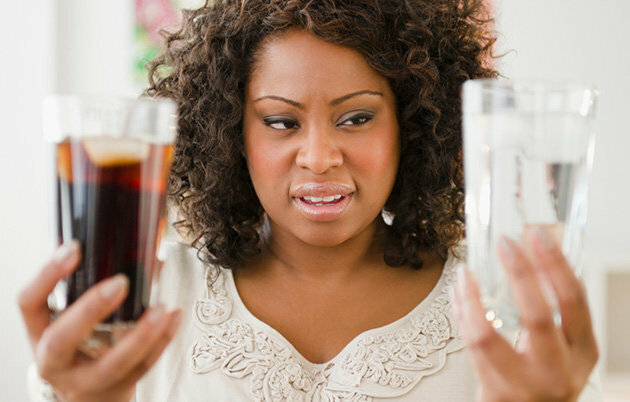 If you are not switching to water, or zero calorie drinks, be sure you are keeping track of the calories you consume in liquid and add them into your daily calorie allowance. If you want to avoid mistakes, be sure you have a good support system set up, such as the one that is provided when you join Team Possible. You can also avoid many of these mistakes by getting on a Custom Meal Plan and having each of your meals planned out for you (Team Possible Members get a major discount!). Finally, you can be aware of the mistakes you make when you make them. Now that you have read the biggest mistakes that I see people make when trying to lose weight, you will be more likely to recognize them when you make them yourself. The sooner you recognize the mistake, the sooner and easier it will be to correct it.